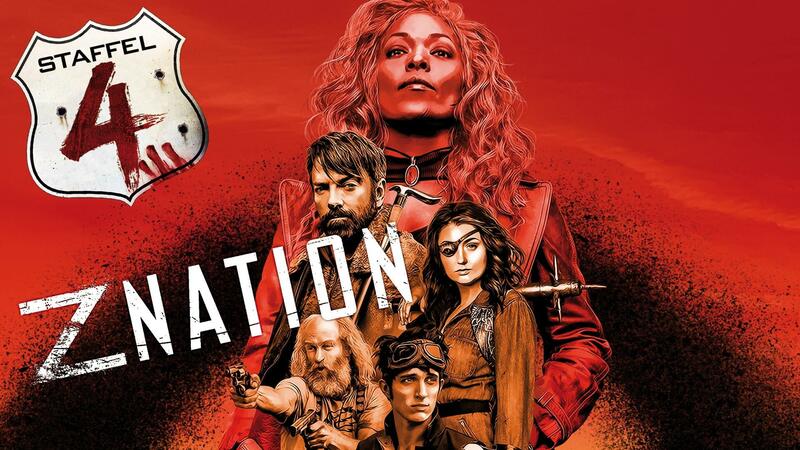 As of January 25, 2019, season 4 of the US-American post-apocalyptic zombie drama series Z Nation by director Karl Schaefer, produced by The Asylum (known inter alia from the Sharknado films) will be available on the M-Square Pictures label. Also, the release dates of Season 5 are already fixed: This will be available from March 2020. At the beginning of Season 4, Warren (Kellita Smith) and Murphy (Keith Allan) suddenly find themselves back in “Zona,” an apparently safe haven for super-rich on an island, two years into the future. While the rest of the group must assert themselves against the undead and the Zona military, Warren tries to find a conspiracy on the track. Disturbing dream images of black, rain guide them on a new mission. On their escape, the survivors not only have to solve the grim mystery of Zona, but also fight super zombies, which make their previous experiences like a relaxing walk. The fourth season of the cult zombie series hit brings some new variants of the undead plague, such as zombie clowns, super zombies and crazy zombies, the Mad-Zs. In Season 4 there are also two spectacular guest appearances with horror icon Michael Berryman (“The Hills Have Eyes”) and cult musician Henry Rollins (“Heat”, “Bad Boys II”). The initiators of the Z Nation series, Karl Schaefer and Craig Engler, describe the series as an attempt “to bring the fun back into the zombie genre, which they have become too serious through television series like The Walking Dead“.